First #BlackBiBeauty happened on Saturday, and then out of nowhere #BiTwitter started trending today. As Twitter put it, "#BiTwitter is encouraging bisexuals to claim online space." I grabbed a screenshot of the moment it topped my trending topics and #BiTwitter even got its own featured Twitter moment. Bi folks are tweeting messages of support and pride, and primarily posting selfies. Some of them are using the trending topic to come out publicly for the first time. Scrolling through all of these message of visibility and pride is so encouraging, even despite the few messages of hate, erasure and misunderstanding sprinkled in here and there. Seeing bisexual people around the world own and celebrate their sexuality, especially given the current political climate, gives me a lot of hope for the future. Given these staggering, often tragic statistics, why is bisexual health awareness cause for celebration? And how exactly can we go about celebrating it? The answer lies in some of the more positive, encouraging facts, including that bisexual people make up more than half of the LGBT population, that the percentage of people who identify as bisexual is increasing, and that studies are proving the benefits of coming out as bisexual. When we as a community are aware of the unique mental and physical health challenges that bisexual people face, we can work together to address them. As individuals, bisexual health awareness can help us get and stay healthy. Get the facts: the good, the bad, and the ugly. Knowledge is power. You can start by scrolling #BHAM2017 on Twitter. Help educate others about bisexual health, including both straight and queer people. Help your healthcare provider learn how to be a good bisexual health ally. (Or find one who's open to doing so.) Here's a great visual summary of how they can do that, taken from BiNet's excellent Bisexual Community Issues Presentation. Come out to your doctor and get tested for the full spectrum of STDs. Personally, I have found, and my partners have as well, that telling doctors that I have multiple partners of multiple genders makes them more willing to provide full STD screenings. Connect with the bisexual community. 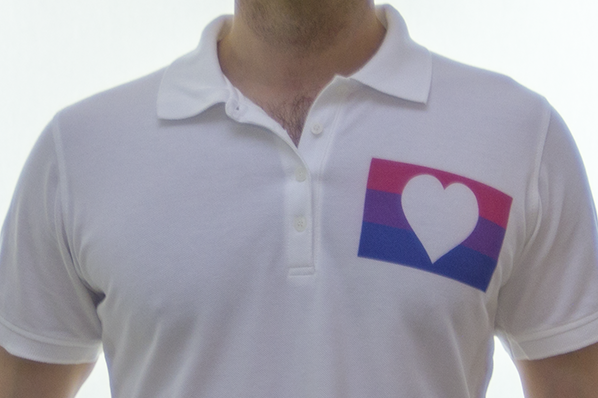 Given the lack of visibility and acceptance of bisexuality, being bisexual is often a lonely and isolating experience. Connecting with fellow bisexual people can help! BiNet has put together a great map of bi groups and even something as simple as connecting with bi advocates and activists like me on Twitter can help as well. If you have questions about bisexuality or bisexual health, or if you just need to talk, please reach out to me. Be safe, be happy and be well. I am very blessed to have fantastic LGBTQ allies for parents. Although I wasn't sure if they remembered that I came out to them in 8th grade, of course they did, and they found ways to support my developing identity from that point on, while still allowing me to explore it myself. My mother has always been especially thoughtful and caring, especially now that I am fully out to her and my dad as both bi and poly. Besides my partner, they are the biggest fans and supporters of the Jayne B Shea brand! The other day, my mom was showing me some food ideas she had collected on Pinterest, including the awesome rainbow kebab tray above, which she had saved because she knew I'd love it as a representation of the Pride Flag. It's little touches like that moment that let me know she and my dad support me in my bisexual and polyamorous identity, and always will. Watch Your Pronouns/Gender Assumptions: It's easy to fall into heteronormative habits when checking in with your child about love interests. Stick with the gender-neutral "they" to show that you know and accept that your child may be interested in either same-gender or opposite-gender partners. Take them to Pride Festivals: Last summer, I was so proud, pleased and excited to see so many parents with their kids at Seattle and Portland Pride. Attending these events with your kids is a major demonstration of your support for their identity. It can also make them feel more comfortable in their new community and help them make smart choices as they celebrate Pride. Be a Good Wingwoman/Wingman: This is a bit tricky, since for some kids it might be weird to have mom or dad as a wingwoman or wingman, but I can't tell you how much it meant to me over the years to hear my mom comment on women I thought were cute. You don't necessarily have to help them find dates, but showing your support in this area is a thoughtful touch. Give them Space & Love: Sexual and gender identity is a tricky issue that your child needs to navigate for themselves. Allow your child the freedom to explore and define their own identity over time. Show them you love them who they are, including (not despite) their sexual identity.